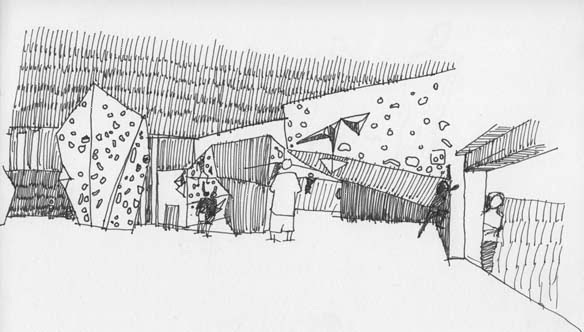 The Sunday outing to the Seattle Bouldering Project reminded me of trips to the rock climbing gym as a kid. My father was a rock climbing enthusiast and took me to a rock climbing gym beneath the Fremont Bridge before the area's redevelopment. The Seattle Bouldering Project offered some great opportunities to explore perspective due to the space's lack of perspective. The slanting walls and odd angles made people the only reliable indicator of scale and perspective. This was also a great opportunity to draw the human form. Drawing outside, people often become secondary to the landscape around them. 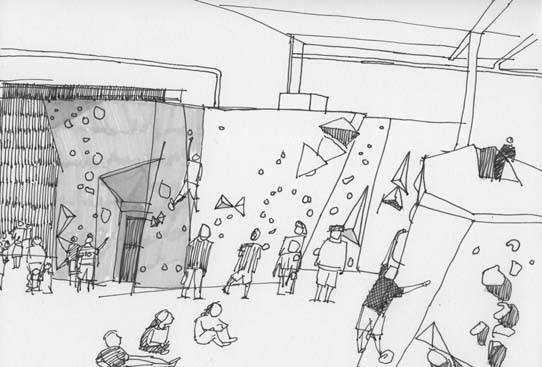 At the Seattle Bouldering Project, the human form became a dominate element in my drawings because people played a critical role in defining the space. 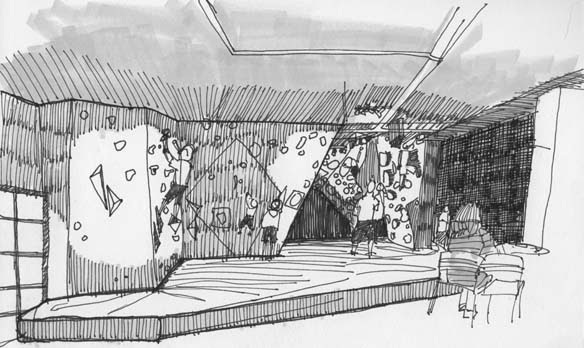 I also enjoyed drawing at the Seattle Bouldering Project because it had such a subterranean feel. In the basement, the low ceiling and curved walls made the space feel like a cave or grotto. I could almost imagine the Oracle of Delphi was prophesying at the back of the room.